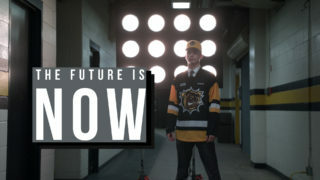 He was the first ever draft pick of the Hamilton Bulldogs. Three years later franchise cornerstone Matthew Strome has played an active role in bringing the franchise within one win of an Eastern Conference title. Following in the footsteps of older brothers Ryan (Barrie/Niagara, 2009-13) and 2017 OHL champion Dylan (Erie, 2013-17), big 6-foot-4, 210Ib. Matthew is penning a playoff tale of his own, recording four goals, 10 assists and 14 points over 12 postseason contests. He experienced the thrill of watching his brothers in the OHL Playoffs and now it’s his turn. “Watching them, especially Ryan when I was really young, it just showed me what it takes to compete and battle in the playoffs,” he said. “Ryan won an Eastern Conference title and I got to see Dylan win a championship last spring. Now it’s my turn and I want to outdo both of them,” he said with a laugh. This isn’t his first brush with high stakes hockey. Strome scored the overtime winner of the 2015 OHL Cup Showcase to crown the Toronto Marlboros as champions. 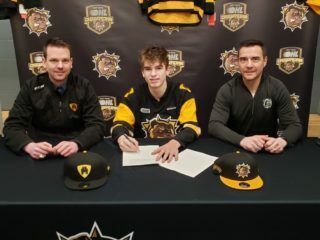 The Bulldogs proceeded to select him with the eighth overall pick of the 2015 OHL Priority Selection that spring. Improving upon his 2016-17 total of 34 goals with 37 this season, Strome took a step forward after being selected by the Philadelphia Flyers in the fourth round of the NHL Draft last summer. He speaks highly of his time in Hamilton, citing the organization’s commitment to community involvement. Strome credits the guidance of head coach John Gruden for part of the club’s success as East Division champions this season, noting his approachable nature and willingness to work with players. 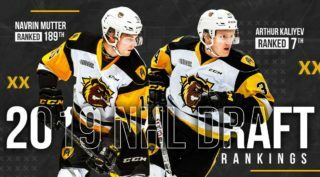 Strome’s OHL career has included three international tours of duty as he represented Team Canada Black at the 2015 World Under-17 Hockey Challenge, suited up for Canada at the 2016 IIHF World Under-18 Hockey Championship as well as the 2016 Ivan Hlinka Memorial Tournament. He also competed in the 2017 Sherwin-Williams CHL/NHL Top Prospects Game in Quebec City. 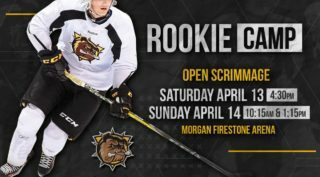 One of five original Bulldogs draft picks from 2015 alongside teammates MacKenzie Entwistle, Zachary Jackson, Isaac Nurse and goaltender Nick Donofrio, Strome and his teammates hold a 3-0 series lead and look to secure an Eastern Conference championship tonight in Kingston when the puck drops on Game 4 at 7:00pm. A series victory would give the Strome family a total of four conference titles.